At the same time he was serving as covert adviser to weapons giants BAE and SAAB, arms deal entrepreneur Fana Hlongwane was inserting himself as a majority shareholder in local defence manufacturers that would be used to deliver offset credits that, in turn, would validate the SAAB/BAE contract with the South African government. By this stratagem Hlongwane positioned himself as the major beneficiary of investments by BAE and SAAB in pursuance of so-called Defence Industrial Participation projects required to offset the cost to South Africa of buying 26 Gripen SAAB fighter planes and 24 Hawk lead-in trainer aircraft – at the same time as he was being paid to make the offsets happen. This is only one of the startling conflicts of interest that have come to light in The Sunday Independent investigations into what Hlongwane did to earn the more than R100 million he was paid through accounts so secret they were even hidden from BAE’s management to ensure the controversial R10 billion BAE/SAAB contract went ahead – and the manufacturers got paid. But before this, Hlongwane, wearing his hat as a director of SA defence giant, Denel, was part of a process which led to the 2000 naming of BAE Systems as the preferred strategic partner in an initiative to partially privatise the SA arms manufacturer. By this time, Hlongwane was already on the secret books of BAE, and employed as a “covert consultant” while continuing to serve in public trust until May 2001 on the board of the 100 percent state-owned Denel. As the strategic partnership was mooted – in a move that would have met offset commitments – BAE was to buy a 30 percent stake in the troubled and mismanaged SA manufacturer. In the end, however, BAE in 2003 pulled out of the Denel buy-in option, for reasons that were never disclosed – but which insiders say were not unconnected with the enormous financial burden incurred by Denel’s Rooivalk helicopter, a project 20 years in the making, but at the time yet to be ordered by foreign buyers. In may 2000, BAE was named as Denel’s preferred strategic partner. Hlongwane, according to records uncovered by the UK’s Serious Fraud Office, was paid £550 000 by a convoluted trail of international transfers that began with a secret BAE offshore account, Red Diamond Trading in the British Virgin Islands, and ended in accounts controlled by Hlongwane. Nor was this the first time that Hlongwane had been the beneficiary of BAE’s largess. In October 1999, shortly after the strategic defence procurement packages were signed off, he was paid, through similarly hidden channels, a relatively modest £100 000. Before this, as special adviser to the late Defence minister Joe Modise, Hlongwane was a key member, along with defence acquisitions chief Shamim (Chippy) Shaik, of the so-called Ministry of Defence Acquisition (Modac) work group instituted to second-guess recommendations for preferred supplier scores arrived at by Armscor and Defence officials operating as the Strategic Offers Committee (Sofcom). The result of the Modac intervention was to reposition the Gripen/ Hawk option as the preferred bid – despite Sofcom having rejected it. This was done largely on the basis of a special pleading by Modise of “strategic vision” outweighing considerations of the cost to fiscus. Even more startlingly, Modise and his adviser, at the time, promoted a payment option – developed by BAE – which would have seen South Africa pay for the aircraft with gold reserves. In the event, however, the proposal was given short shrift by cabinet. But these payments to Hlongwane were small change compared with what followed after BAE pulled out of the proposed 30 percent buy-in to Denel, opting instead to meet its offset obligations – with Hlongwane as consultant – through piecemeal investments. 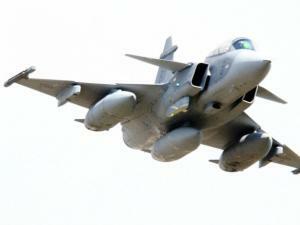 As outlined by The Sunday Independent last week, Hlongwane was contracted by the SA National Industrial Participation (Sanip), a SAAB-owned but effectively BAE-controlled entity, to promote the interests of BAE and SAAB in achieving offset credits, thereby freeing up payments from the SA government. In terms of this relationship, more than R50m was paid, according to the UK’s SFO, into Hlongwane’s bank accounts – a sizeable percentage of the more than R100m identified by the DA’s David Maynier as having been paid to Hlongwane by BAE in total. Last week SAAB chairman Sven Buskhe distanced his company from a R24m payment made by BAE through Sanip to Hlongwane in 2003. The payment was not reflected in Sanip’s accounts and, as a result, inaccurate and possibly fraudulent audits were signed off by BAE executives on behalf of the Swedish-owned company for that year. But at the same time he was receiving these dubious consultancy payments, Hlongwane was also assembling a formidable share portfolio in companies brought in as BAE and SAAB’s partners in Defence Industrial Participation (DIP) projects. One of these was Uri Vehicle Manufacturers, makers of a low-cost rough and ready border-patrol vehicle. As part of a deal – explicitly sponsored under the auspices of Sanip – BAE would guarantee a funding loan to the manufacturer in exchange for resulting DIP offset credits. At the same time, Hlongwane, via his company Ngwane Ordnance, took a 51 percent controlling interest in the company, extracting hefty fees for himself and various associates that came into the deal as managers. While the deal was subsequently transferred to Thint, the local arm of the French weapons manufacturer Thales (formerly Thomson-CSF) who secured funding from Absa at minimal interest, the Hlongwane shareholding remains. In the process, however, an order for 30 of the vehicles placed by the SANDF before Hlongwane took over control, has been lost. Despite the injection of R20m in operational funding and R10m to the company, Uri has been unable to deliver the ordered vehicles in more than five years. Another of the BAE/Sanip DIP investment vehicles in which Hlongwane took a 51 percent controlling interest was Ivema, heir to the intellectual property of the Casspir armoured vehicle and manufacturer of its 21st century successor, the Gila armoured vehicle. Ivema is currently caught up in lawsuits with disgruntled directors challenging the alleged siphoning off of Ivema funding to Hlongwane’s accounts. Also at stake is the appointment of BAE’s Bernard Collier as chief executive officer in the Ivema operation. Along with a group of other defence manufacturers brought in as “Sanip deals” to boost BAE and SAAB’s defence investment scores, Uri and Ivema were consolidated as members of Ngwane Defence, a company founded in 2006 by Hlongwane and former Chief of the Defence Force General Siphiwe Nyanda to market their defence product internationally. Ngwane, lavishly funded by its components, was dissolved in 2007 after achieving minimal sales. lIndustrial and Automotive Design (IAD) a provider of systems engineering and analysis. lTruvelo Manufacturing, whose products include sniper and assault rifles.